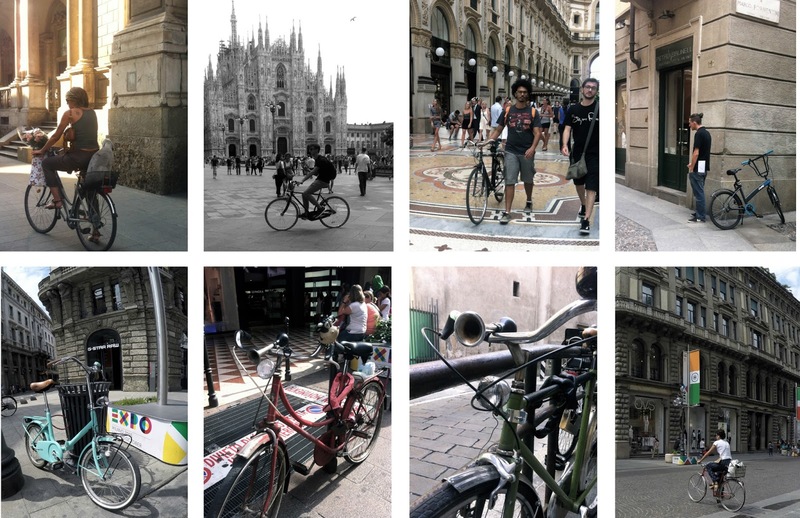 Some impressions of people on bikes in the city center of Milan. One of my favorite regions of the city of Milan is Naviglio, where bikes are one of the main means of transport since the nice small designer shops, tasty restaurants and hip bars are only accessible by foot or by bike. Also somewhere between the city center and Navigli, more and more people use their bicycles to get around. But the main means of transport is still the scooter. Moreover, in comparison with other cities there are quiet a lot of small electric cars on the streets. Milan is supporting this trend with an electric car sharing system as well as a network of charging stations. Cargo Bike Logistics is something you can observe in the city center of Milan (DHL, nexie). 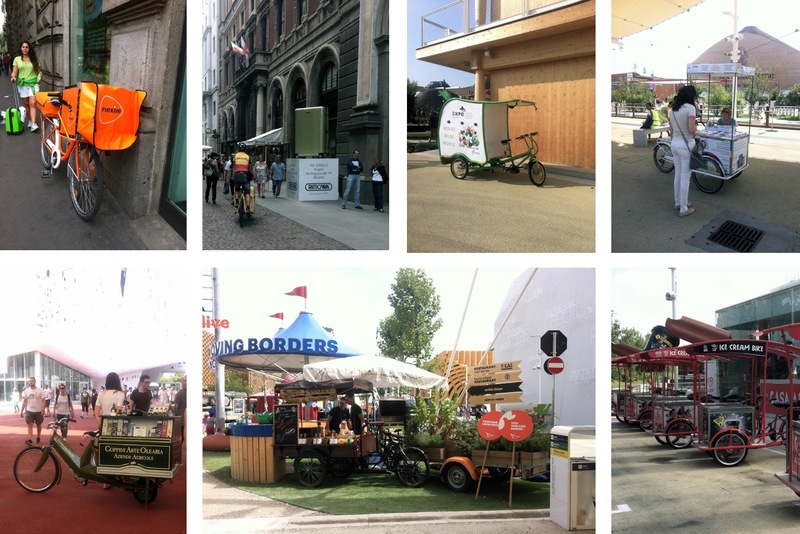 At the world EXPO 2015 cargo bikes and as well as bicycle fleets for the staff and the volunteers are omnipresent. 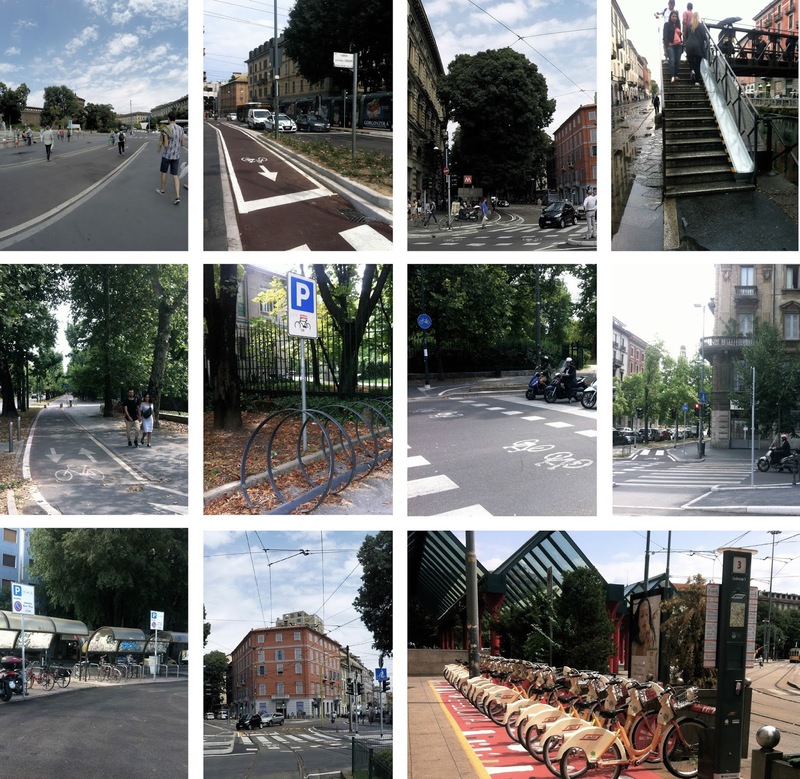 Last but not least I would like to share an impression of the bicycle infrastructure in Milan. In general, it is quiet dangerous and not intuitive at all to cycle in this beautiful metropole, but they are also making some efforts in building separated cycle tracks and bicycle streets. 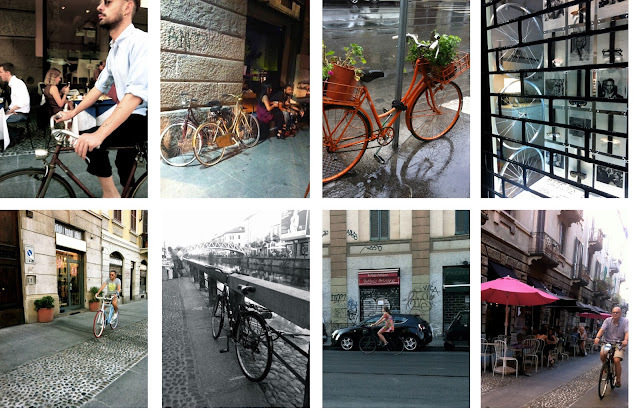 The bicycle sharing scheme "bikeMi" is used not only by tourists but also by citizens of Milan. The bikes are located all around the city and always also next to the metro stations what encourages the people to use them on their first and last mile of their commute (BiTiBi). Way cool - particularly enjoyed looking at the rental bicycles! I'm glad they are making some progress, as I remember Milan as a very "bicycle-unfriendly" city. The best bicycle towns were in the northeast. Looks great those rental bicycle places. I traveled in India few months back and unluckily my bicycle steal by someone. I hope in India this type of easy to park bicycle places need to setup. So that people can park their cycle without any tension of stealing.